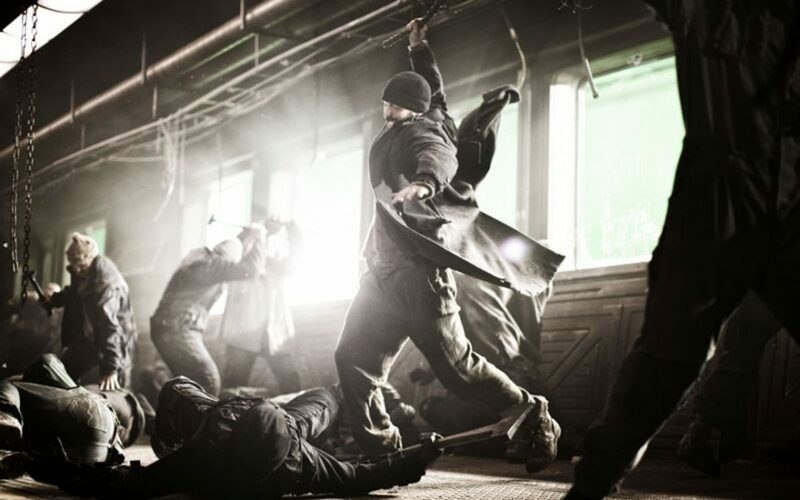 Home » The Spectrum » Movie News » Is TNT Producing A Snowpiercer Series? For those of you who have neglected to see this incredibly original film, here is the synopsis. “It’s been 18 years since we froze the earth. The few remaining humans live on the Snowpiercer, a train on an infinite loop around the globe. For those at the front, it’s a lavish paradise of drugs and sushi in the lap of luxury; for those trapped in the tail section, life is short and cruel. With all the films and television shows popping up, it makes sense that you might have missed this film. Snowpiercer is one of the most original and creative films of 2014. Korean director Bong Joon-Ho’s sci-fi stunner is dark and speaks unflinchingly about inequality among social classes. 2016 seems like an escalation in these themes as the news has shed light on many of the injustices occurring all over the U.S. It seems fitting that we would want to explore that further. Snowpiercer successfully builds a mesmerizing world that left many wanting more. The history of this fictional land is ripe for exploration. The TNT series will be taking place 7 years after the world has frozen over, just like the film. If you have seen Snowpiercer you might wonder how you could build an entire series upon a few train cars. However, the film is based on the French graphic novel Le Transperceneige by Jacques Lob and Jean-Marc Rochette. In the novel, the train is composed of 1001 train cars which really opens up the series to explore every nook and cranny. The Snowpiercer series could really expand upon the initial world built by the film. I’m really looking forward to this, but I’ll miss Tilda Swinton so very much. Check back on the blog for more news as it comes! Here is the trailer for Snowpiercer! Watch it.